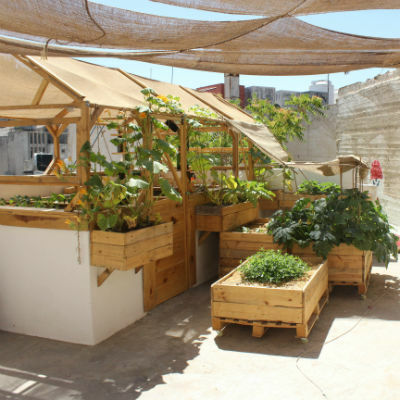 Our first experimental farm is well underway on the rooftop of ‘Jadal for Knowledge and Culture’ in Amman. Jadal is an initiative that offers an open space, where cultural activities and knowledge sharing fuse to evoke and spread new societal values. Sharing a similar mindset and vision makes it a great meeting point for all people that are interested in the project. On Jadal’s roof, the ideas of our future installations become reality. By reconstructing the existing shacks we were able to build two greenhouses, of which one provides shelter for non-season-related plants while the other one is home to hydroponic cultivation – a method to grow plants with nutrient water instead of soil. 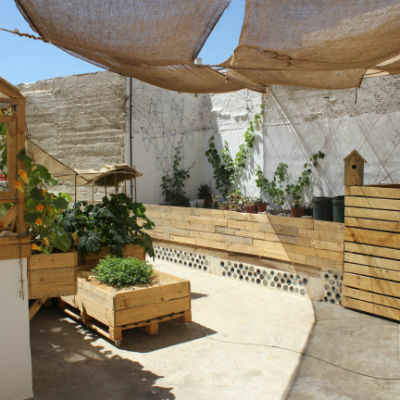 Deep-rooted and wide spreading vegetables like pumpkins, courgettes, carrots and rhubarb are planted in large wooden boxes that are placed on upcycled palettes. Each box is provided with a self-constructed watering system that maintains efficient irrigation and limits the evaporation of water on the wicking bed. Herbs such as za’atar, mint and sage are planted in the vertical garden. 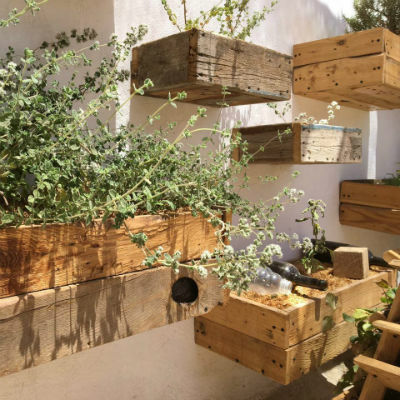 This installation promises easy harvesting, saves space and bears load by hanging the soil-filled boxes on the wall. In order to keep up the high standard of environmental friendly farming, we built an organic compost installation that provides nourishing soil and extracted juice that is used as natural fertilizer, also known as ‘compost tea’. 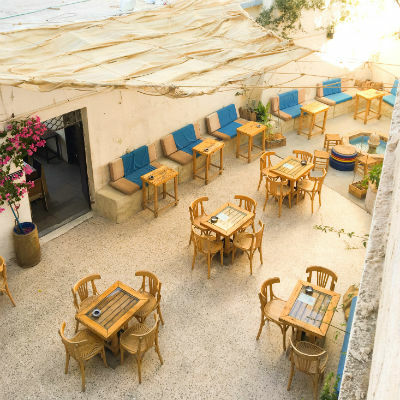 A large wooden table with a comfortable seating area and creative light installations are meant to round off the green hideaway. Enriched with the experience of building our first rooftop farm we are better equipped to avoid future obstacles and make the design and building process for the implementation in camp areas more efficient and cost-saving. What is Jadal for Knowledge and Culture? Jadal is an initiative that offers an open space, where cultural activities and knowledge sharing fuse to evoke and spread new societal values. The project aims at encouraging creativity, innovation and collective activities that benefit the community. It also creates a space for self-exploration, questioning, sharing skills and experiences, critical discussions, reflection and artistic expression. 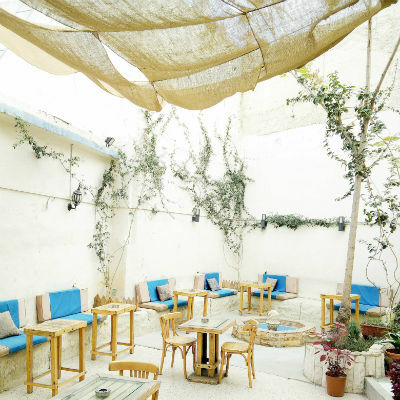 The space is situated in one of the old houses in Amman, loved for its unique architecture, dating back to 1933, located on al Kalha stairs, connecting Downtown, the busy old heart of the city and Jabal L’Weibdeh, a neighbourhood bursting with ambitious start-ups and creative initiatives. 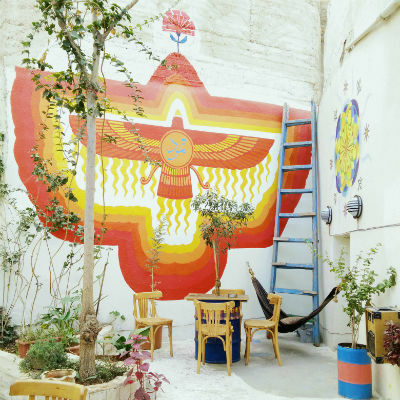 Since its opening in 2012, Jadal for Knowledge and Culture has been hosting various discussions, lectures, exhibitions for debuting artists, concerts and jam sessions. It has also been a space for different workshops and courses based on communal sharing of artistic/linguistic skills and knowledge. Some of Jadal’s activities are regular, such as the monthly International Dinner and the weekly Discussion Saloon, where a wide range of topics related to humanity, science, nature and society are discussed. 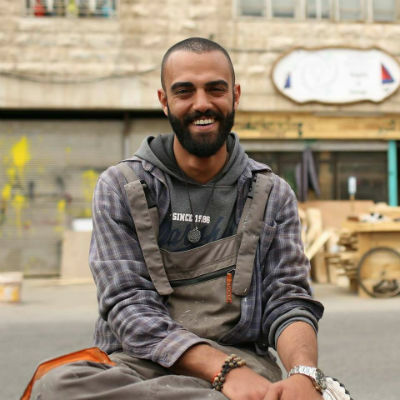 Thanks to the diversity and the depth of its content, Jadal has become a safe space for different people and communities such as students, urban refugees, expatriates, artists, thinkers, activists. What does Jadal mean to us? The reuse of material stems from the need to raise awareness about earthcare and environmental issues. Recycling also calls for creativity and offers nearly unlimited possibilities. This is the reason why we were happy to connect with Ala’a Ziadeh, who shares the same mindset and ideas. We did not only receive important resources such as wood and glass bottles, but there was also the possibility to use tools from his workshop. We believe that working together with creative entrepreneurs is crucial for the development of our project.